This comprehensive monograph captures the fashions, art, and fantasy of one of the world’s most original fashion designers. Mariano Fortuny is an exceptional figure in the history of art and design. Born in Spain and raised in Paris, he is most associated with Venice—he was often called the "magician of Venice"—where he lived and worked at the legendary Palazzo Fortuny until his death in 1949. 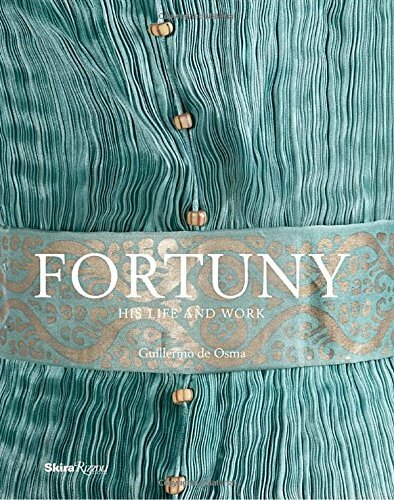 Fortuny excelled not only in fashion, but also as a painter, printmaker, photographer, textile designer, set designer, lighting engineer, and inventor—all covered in-depth in the book. However, Fortuny’s creativity has had its most enduring legacy in the fashion world, and this comprehensive monograph includes much archival and previously unpublished material. Inspired by classical antiquity, Fortuny’s legendary designs were fashion’s first step toward modernity. His dresses featured finely pleated silks, often adorned with glass beads or similar objects, which flowed seductively over the female form, revealing its natural curves. His velvet capes were instantly popular, and the Delphos gown was favored by notable clients such as Eleanora Duse and Isadora Duncan. Fortuny’s designs remain the ultimate example of fashion as art and continue to inspire twenty-first-century designers. If you have any questions about this product by Skira Rizzoli, contact us by completing and submitting the form below. If you are looking for a specif part number, please include it with your message.